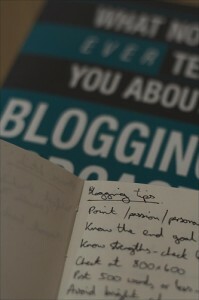 Most people presume that blogging is just about writing content. Well, I’ve been blogging for almost two years now, and I must say that blogging is not an easy task. Apart from writing great quality content, bloggers need to stay up-to-date with the latest news, follow other blogs in the same niche, optimize their content for search engines, look out for inspiration and much more. If you check out the Firefox add-ons directory, you will find various add-ons that can help you blog easily and effectively. In this post, I present to you 10 Firefox add-ons that can be really useful for bloggers. We often tend to bookmark interesting articles we find on the web so we can read them later when we have time. Instead of crowding your browser with hundreds of bookmarks, you can use this wonderful Firefox add-on to save pages you want to read later with just one-click. Read It Later is a simple Firefox add-on that lets you save pages to a reading list, so you can read it later when you have time. You can sync your reading lists across all your computers and also to your mobile phone. The offline reading mode lets you read the items you have saved even without an internet connection. You can use the Text View mode to view the content in a more consumable way by stripping off the ads and images. Certain websites do not provide Atom or RSS feeds of their content. It can be really annoying to load the website, again and again, to check for updates. This is where Update Scanner comes into the scene. This Firefox add-on monitors websites for updates and notifies you if any website has been updated. It automatically highlights the changes on the webpage and also lets you select how often a website should be scanned. 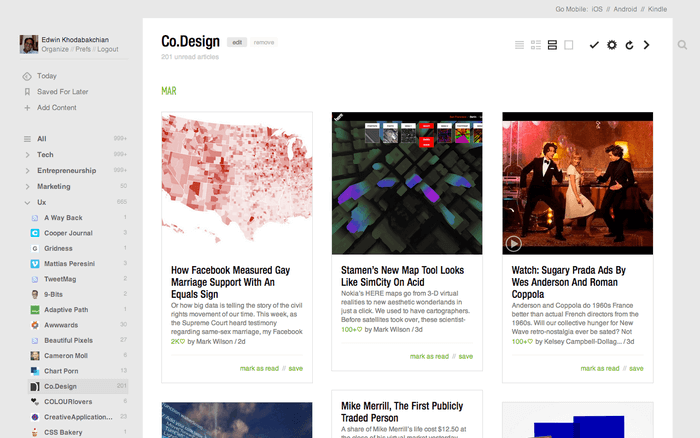 Feedly is a fully-featured feed reader for Firefox. It lets you easily follow your favorite websites and displays the best content of these websites in a magazine-like start page. It provides a really intuitive and attractive way to read your feeds. Whenever we find something we like, the first thing we do is share it with our friends. Well, using ShareThis you can easily share anything on the web with your friends on over 45 social sites including Facebook, Twitter, Digg, Reddit and more. You can easily configure the drop-down menu to show your preferred sharing services and also view the top trending shares on any site. 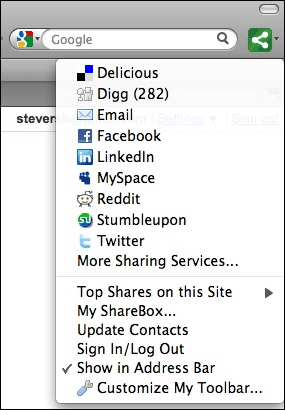 It saves all your shared content in the ShareBox so that you can easily find and re-share them later. With the voluminous amount of work bloggers do, it is always better to keep to-do lists and reminders so that you won’t forget anything. ReminderFox is a Firefox add-on that lets you manage reminders and to-do lists right within your browser. It reminds you of all your important dates via easy-to-use to-do lists, alerts, and alarms without the need for a separate calendar program. FireShot is a very useful tool to capture and annotate web pages. 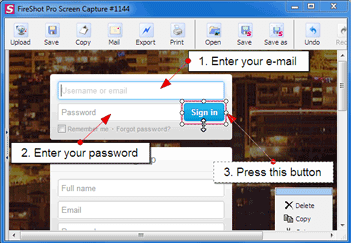 It enables you to create screenshots of entire webpages quickly and easily. It lets you annotate the screenshot, upload it to major photo sharing services like Picasa, Flickr, ImageShack, etc., save the image to disk, copy it to the clipboard as well as e-mail it. 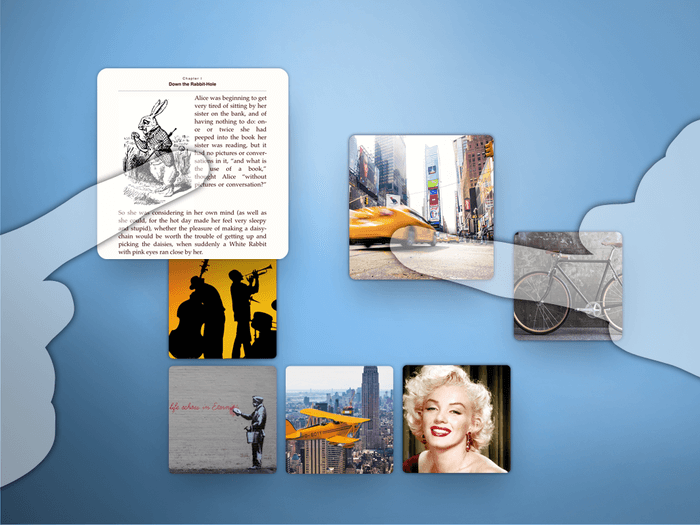 Pearltrees provides you a great way to organize, discover and share the things that you like on the web. You can pearl the web pages you like while browsing, organize them into pearltrees, discover other users’ pearltrees in your area of interest, share your pearls on social networking sites and much more. Well, these are some really nifty Firefox add-ons for bloggers. If you know any other add-ons that deserve a place on this list, tell us about it via the comments section. great collection. already using many of these. I am using only feedly,Need to try remaining. yea.. nice article karthik prabhu, but i think u missed one plugin or tool bar that is “alexa tool bar” which is used to find website rank and hot trends and topics which is currently running on internet…..
you forget to include firebug and web developer. These two are the best addons on firefox. Rakesh, even i was expecting firebug to be in this list, as it is one of my favorite add on for firefox. I like Share This add-on very much…I’m using it from long time ago.